Research is the foundation of great companies, which is why Respondent is revolutionizing how it’s completed. Respondent is not only at the forefront of research -- we are also at the forefront of work trends. We are firm believers that the world is transitioning to a remote workforce and as a result, are an entirely distributed team. Cities are becoming more expensive, commutes are growing longer, and people are spending less time focusing on their families and themselves. Working on a distributed team gives our team members the chance to live in more affordable and desirable locations, take care of their loved ones, and do what they love. For instance, our employees have the freedom to travel regularly, work out when they want to, and enjoy their hobbies. They work hard, but are able to prioritize their lives as well. 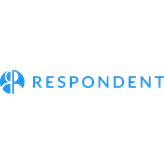 Respondent is a truly global, fully remote, and high-impact workforce, and are excited to announce we’re looking for a passionate and talented Lead Software Engineer to join our team.